Our featured demonstrator for the July meeting is Levi Mize. 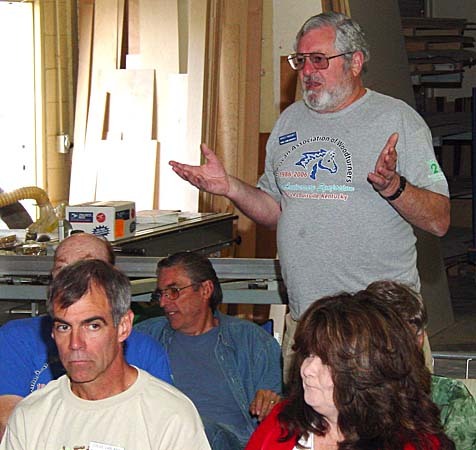 He has been our host for the monthly meetings for the past several years in his professional, custom cabinet shop. The large Vicmarc lathe in the shop is used for structural elements for his custom cabinets. Levi also is an accomplished turner of bowls and other free form structures that he does for his own pleasure and relaxation. 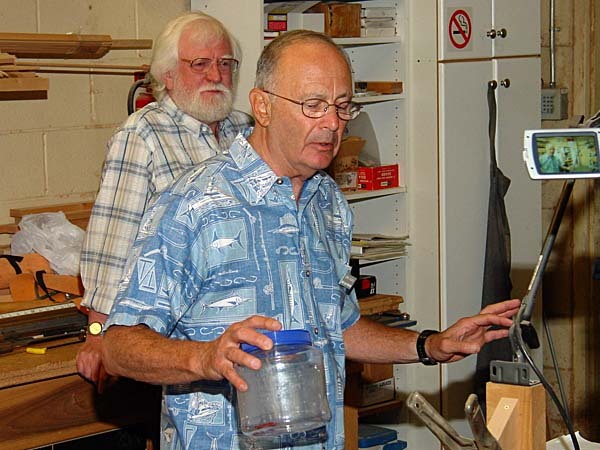 For the demonstration he will be showing how he does controlled fluting using the lathe. This is often done for the structural elements of cabinet enhancement but can also be used for decorating artistic pieces. Come and learn a new technique! Many of our members attended the annual AAW Symposium in Portland at the end of June and will be returning with new information (and probably tools!) to share. Maybe they will even have new work to show for our Show-N-Tell session during the July meeting (This is a hint to bring something you learned or purchased in Portland to share!). July is an unusually busy month. 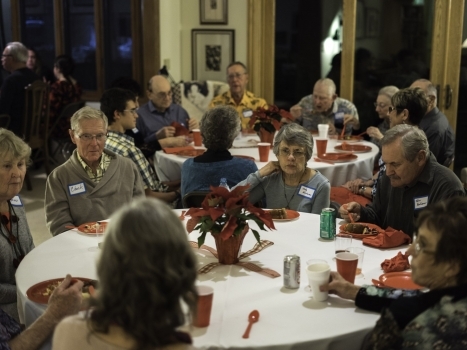 On July 7th is our annual Picnic at the Rinde’s, and members should already have been contacted and made their potluck reservation. If you haven’t then contact Harvey Paskowitz ASAP. Each member is also encouraged to bring one piece they have turned this year to show. New members and beginning turners are particularly encouraged to bring their work. We want to illustrate not only what our advanced turners can accomplish but also how beginners start with easy projects and rapidly increase their abilities. Remember we were all beginners at one time. Don’t be shy. 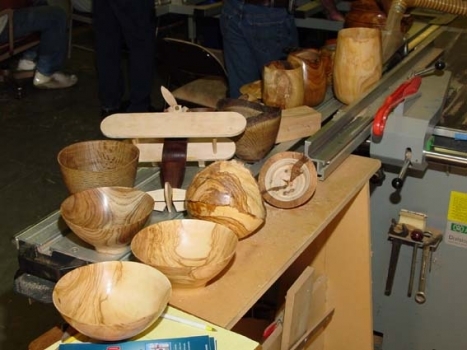 This is a great social event with members and their spouses or guests to enjoy a great potluck picnic and to see the wide range of work our members achieve on the lathe. Simple weed pots and pens, platters and bowls, to complex sculptural objects are all the order of the day. The Ventura County Fair is coming up quickly with the new link on line now. The Fair runs from August 1-12 this year. 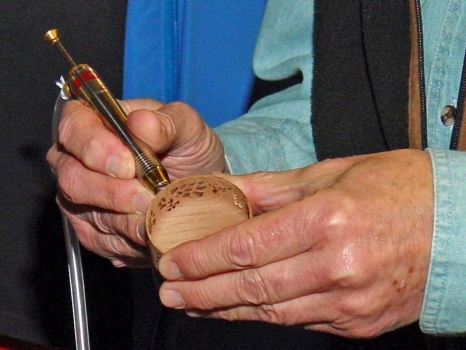 The pdf file for the entry guide is available at Entry Booklet with the Division 345 Woodturning on page 47. Start getting your work ready to enter. The Entry Dates are Friday – Sunday, July 20, 21, and 22, From 10:00 am – 5:00 pm, in the Home Arts Building at the Fair Grounds. We will be sharing space with the Wood Carvers and Boat Builders again this year with a newly designed booth. Sam Turner will be our contact with the Wood Carvers and he will be calling our membership to help with the construction of the booth the weekend before the fair opens. Bruce Berger and Joe Levy are coordinating our presence at the fair and have arranged for the judging. Greg Radley (the shop instructor at Cabrillo Middle School where we mentor students) returns for his second year of judging. 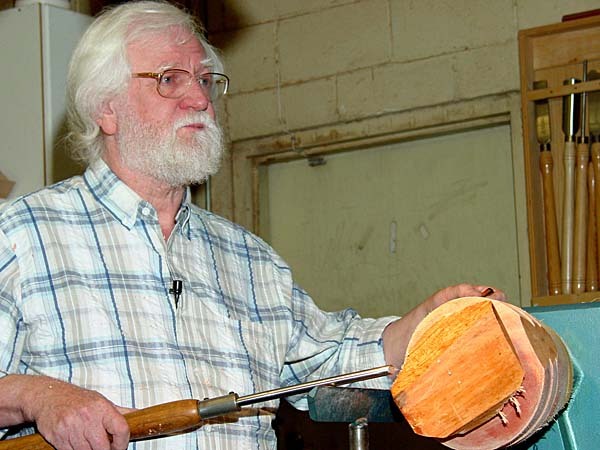 He is also the owner of a custom furniture business and learned is woodworking and woodturning skills at the University of Utah, Provo under the direction of Dale Nish. Joining Greg this year will be Tom McMillin. 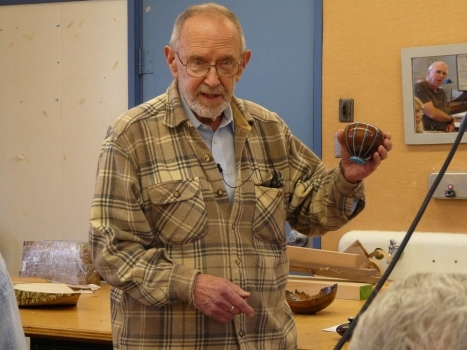 Tom is on the fine arts faculty at the California State University Channel Islands and has woodturning experience. The team of Greg and Tom should make for an interesting judging experience for the wide range of work in the eleven categories we have to fill. Plan on entering as many categories as you can. The limitation is only one piece per category. Remember to sign up for demonstration rotations at the fair at the July 28th meeting if you haven’t already done so in June. Contact Bruce and Joe for more information. On theProjects page are links to previous year’s fairs if you haven’t participated before. It is a lot of fun and the kids enjoy the tops and other objects we make and give away. The June 23rd meeting featured English woodturner Melvyn Firmager. 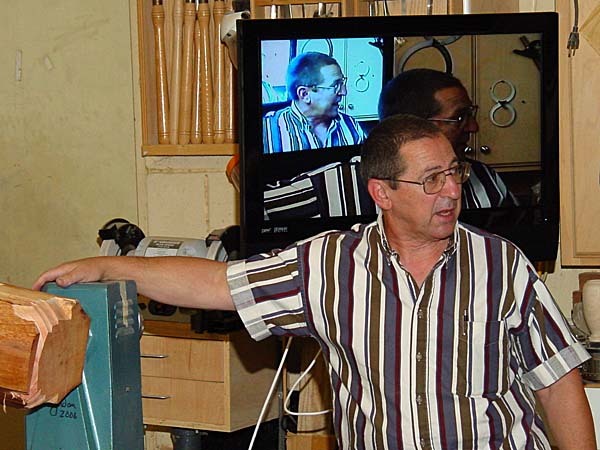 His demonstration was well received and is described by our members Steve LeBlanc in words and diagrams and by Ron Lindsay in his photo essay on the Firmager Demo page. The addition of the second flat screen TV made a big improvement in the ability of everyone to see. Thanks again to Russ Babbitt for his videography and for setting up our TV and speaker systems. The tape or DVD of this demonstration will be added to the club’s loan library shortly.